G.S.FLEXIBLES manufactures very Instrumentation Fittings. It has excellent crush resistance and offers excellent protection against axial elongation. In all the types, invariably heavy gauge of strip is used making it ideal for industrial and other demanding applications. 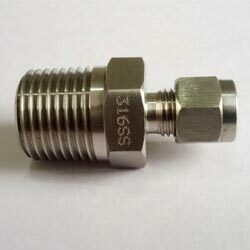 We manufacture Double Ferrule Compression Tube Fittings. They are manufactured to highest quality standards on latest CNC Turning Centers.